Brandberg West, Namibia. 45mm x 15mm x 10mm. 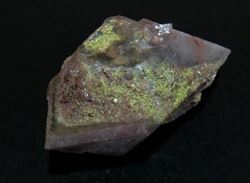 Incredibly bright red flakes of Hematite are throughout this specimen. 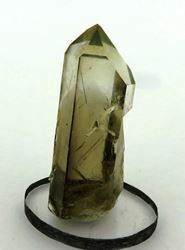 Another really pretty Brandberg Quartz. 5 Shaft, Messina Mine, Limpopo Province, South Africa. 75mm x 35mm x 35mm.